Sometimes you need a fun treat that doesn’t require a lot of time or ingredients! 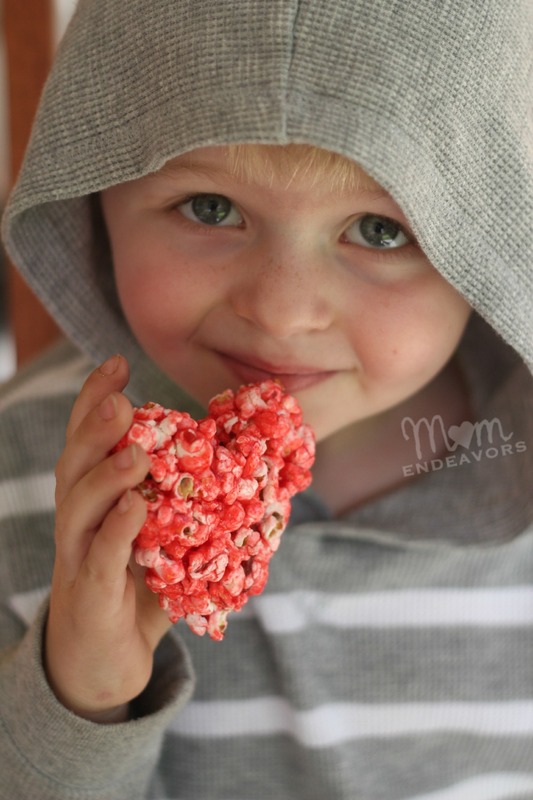 These Jell-o popcorn balls are great for that! 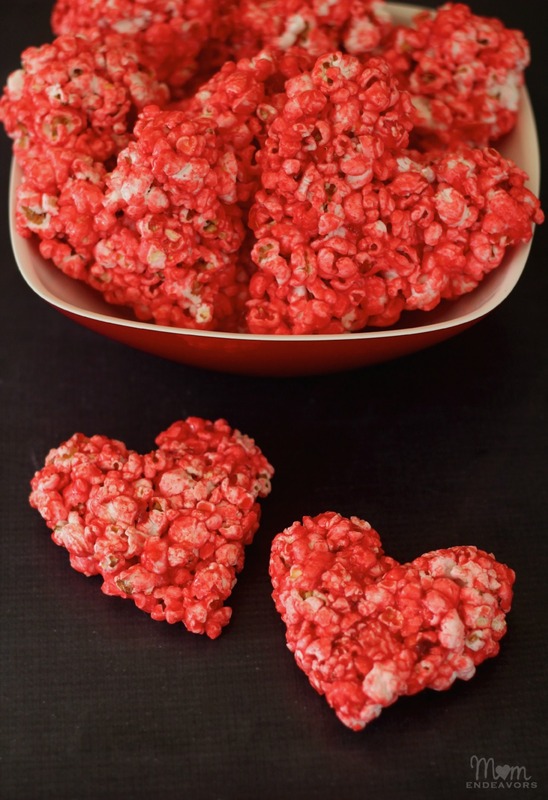 Use a red flavor and shape into hearts for a great Valentine’s Day treat that kids are SURE to love! 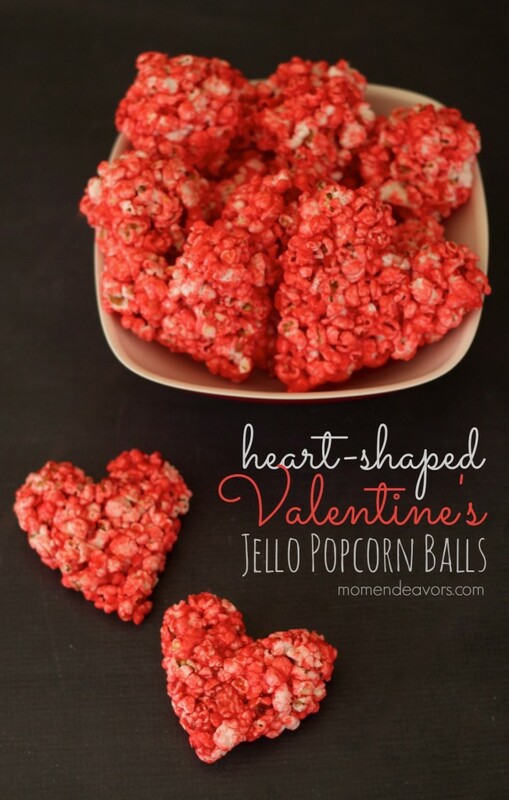 These Jello Popcorn balls are easy to make and perfect for Valentine's Day by shaping into hearts! Pour corn syrup and sugar into a small saucepan. Bring to a boil, stirring frequently. Pour in Jell-O, stirring until dissolved. Dump the popcorn into a large bowl and pour the Jell-O mixture over the top, stirring to make sure the popcorn is well-coated. Grease your hands and for into balls (or hearts). Lay formed shapes on wax paper to harden/set. Store in individually wrapped packages or an air-tight container. Any red-colored Jell-O flavor should work. I used raspberry for these. Don’t those all look so fun?! Be sure to head over to each site to get directions and pin the recipes for later! And, stay tuned for the 12th of March where we’ll be back with another fun themed recipe day! Ok, first, that photo of him is just beyond adorable!! 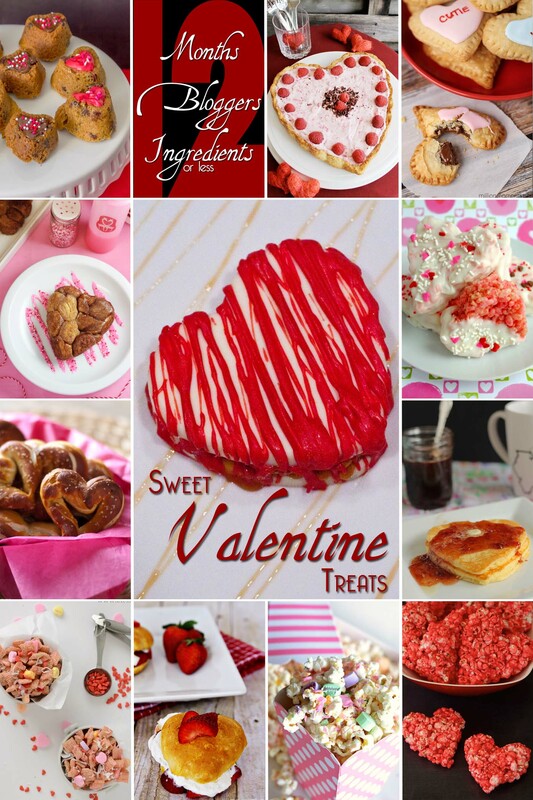 Second, these are so great for Valentine’s Day…I love how vibrant the color is. I never knew you could use Jello for something like this. My kids will freak over these! Pinning! Why have I never thought to add jello! Brilliant!